Nothing ruins a vacation like an ill-timed virus or a prescription that can't be filled in a foreign pharmacy. "When traveling, medical emergencies happen more often than you think," warns Paul Danao, international director for Blue Cross and Blue Shield Association. So take a moment to scan our suggestions below before you kennel the dog and head to the airport. Following these guidelines will help you steer clear of medical misadventures while you're away. Early going abroad? Lucky you. In addition to stocking up on glossy guidebooks, check the Centers for Disease Control and Prevention's destination-specific lists of recommended vaccinations and health precautions. You may need to get some immunizations (such as the vaccine against Japanese encephalitis, a hazard in parts of Southeast Asia) at least a month before departing. And be sure to check Prevention's guide to healthy travel. See your primary care physician for vaccinations and to make sure you're leaving in shipshape condition. If you'll be traversing time zones, ask your doc whether you should continue taking your meds at your regular, home-zone time, or switch — and how. And be sure to ask if any culinary specialties you're likely to encounter while away might interact with your meds. Leafy greens, for example, can decrease the effects of blood-thinning drugs like Coumadin. If you take such drugs, and are heading off to soul-food country, don't go overboard with the collard greens. The first should explain any medical problems you have, and their treatment. It'll come in handy if you need to consult with health care providers while away. You'll also need one that lists prescription meds (including their generic names) and any alternative remedies you take, as well as why, when, how (whether you use a syringe, for instance), and at what dosage. The letter should note that the quantity you're packing is appropriate for your needs, because every country has its own rules about bringing prescription drugs across its borders. "For instance, psychotropic drugs, such as Valium, are prohibited in Mexico," says Kelly Shannon, spokeswoman for the U.S. Department of State's Bureau of Consular Affairs. Having all the proper documentation will ease your way through customs and help you get replacement meds should you lose yours en route. "For peace of mind, call your health insurance company before leaving to find out exactly what's covered when you are traveling abroad," says Danao. Many policies don't cover evacuation or nonemergency care abroad, so ask. 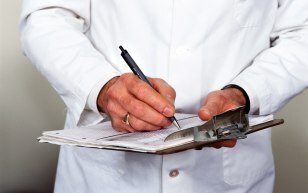 Program your doctor's contact information into your cell phone, or jot it in your address book. This goes for all medicines: prescription, over-the-counter, and alternative. If you need a syringe, make sure it's in a clearly labeled container, too. You'll make life easier for security staff at airports and border crossings. If you're flying, put prescription drugs, and any syringes you might need, in your carry-on bag so they're accessible and safe. (That letter from your doc explaining why you need the needles should satisfy airport security.) Storage conditions in cargo holds can affect the stability of certain meds, explains Stefanie Ferreri, PharmD, a pharmacy professor at the University of North Carolina, Chapel Hill. Also, in case of an unexpected delay returning, be sure to pack at least 2 days' worth of meds. Make a copy of those prescriptions and letters from your doctor; then put one set in your carry-on and another in a suitcase. If one gets lost or stolen, you'll have a backup. 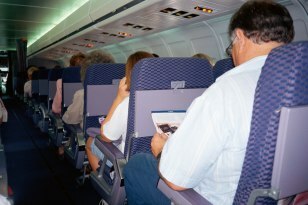 Because the air inside planes is drier than outside, your risk of dehydration is higher. Drink whenever you're even slightly thirsty, says travel medicine expert Jay Purdy, MD, PhD, of the University of Iowa Hospitals and Clinics. Ask for a glass of water each time the flight attendant offers. (Skip the dehydrating booze and caffeinated drinks.) If you run out and she's too busy to give you a refill, you'll have your own supply. Sit still for more than 2 hours, and the blood in your veins can pool and form potentially life-threatening clots. Prevent the problem (known medically as deep vein thrombosis but popularly as "economy-class syndrome") by walking the length of the plane every couple of hours, Purdy suggests. Traveling in the United States: If you belong to an HMO, call your insurer to find out if there are in-network providers in the area. If not, ask if it will waive out-of-network surcharges. Abroad: Contact the U.S. Consulate, which should provide a list of English-speaking doctors. Most insurers won't cover the cost, however. Traveling in the United States: Head straight for the ER. Your insurance should cover the cost for a true emergency. Abroad: Head straight for the nearest ER. Your insurance should cover the tab. Traveling in the United States: Call your doctor and have her phone in a prescription to the nearest pharmacy. 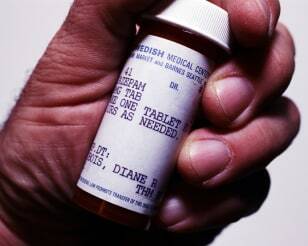 Some insurers cover one replacement per lost prescription. Abroad: Contact the foreign embassy in the United States before leaving to inquire what arrangements would need to be made. Some insurers will cover; others won't.